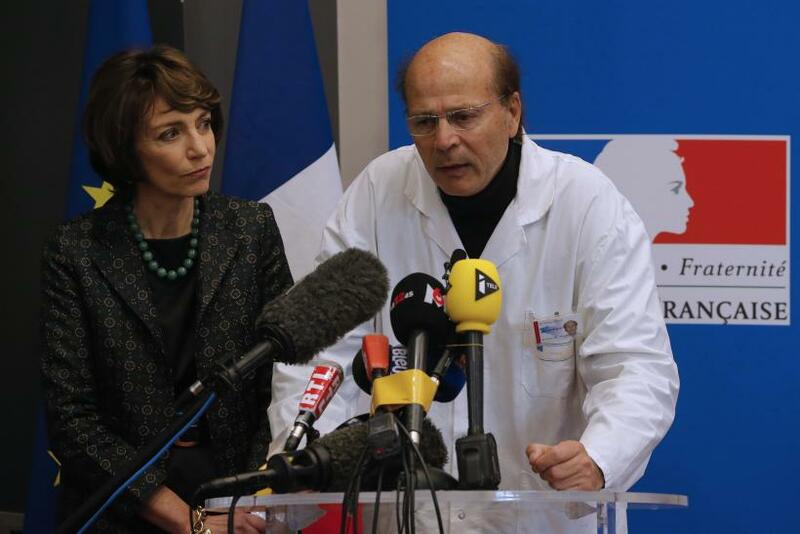 A man who was left brain-dead after participating in a clinical trial in France died Sunday, according to the hospital in northwestern France that had been treating him, Agence France-Presse reported. Five other men who had been hospitalized after participating in the drug trial were in stable condition, the hospital said. The experimental drug was an oral pain and mood disorder medication made by Bial, a Portuguese pharmaceutical company. Biotrial, a private laboratory, had been testing it in Rennes, in northwestern France. The trial was in Phase I, which is when it is tested on humans — typically healthy ones — for its safety rather than its efficacy and had been ongoing since July. The trial involved 108 volunteers, 90 of whom took the actual drug and the remaining 18 of whom took placebos. The men who were hospitalized Thursday had taken the highest doses, starting Jan. 7, and the side effects began roughly three days later, the BBC reported. Pierre-Gilles Edan, head of the neurology department at the hospital, said three of the subjects may have suffered "irreversible" handicaps. They entered the hospital in critical neurological condition. Rarely have clinical drug trials gone so awry in France. The French body responsible for compensating victims of such accidents said in the past 15 years, it had reports of only 10 cases of problems with drug trials, and none had had such dire effects on volunteers. The Paris prosecutor's office has opened an investigation into what went wrong. Initial French media reports said the drug was a cannabis-based painkiller, but the French Ministry of Health rejected that claim although it remains unclear what the drug actually was. The trial has since been suspended. "Our thoughts and solidarity go out to the family of this volunteer," Bial said in a statement Sunday. It added it was "working closely with the health authorities to understand the causes of this tragic and unfortunate situation."